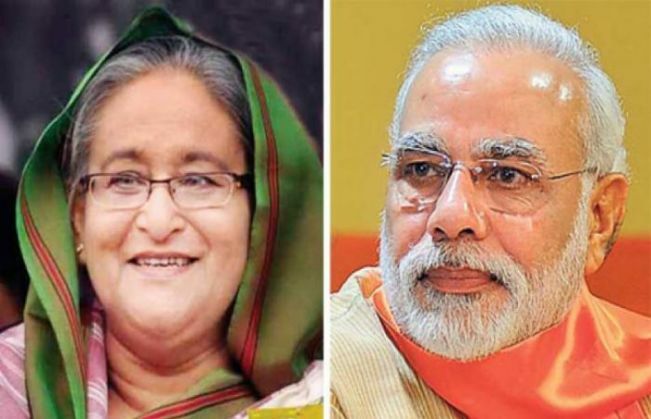 Bangladesh today sought greater cooperation with Indian Navy to tackle "non-traditional" threats in the sea as the eastern neighbour gets ready to explore oil and natural gas in its waters. Bangladesh Navy chief Vice Admiral Muhammad Farid Habib, who is on a four-day official visit to India from today, will be reviewing the existing cooperation between the navies and explore future avenues. "Since the delimitation of maritime border problem has been solved, we are now trying to cooperate. We trying to patrol in our areas. So in our sea, we also expect lot of gas and oil," Habib told reporters here. He said Bangladesh wants to work with the Indian Navy as there are many "non-traditional threats" in sea, a reference to piracy, floating armouries among others. "We cannot tackle those threats alone. It requires cooperation so that we can together fight non-traditional threats and make the area peaceful," the visiting Navy chief said. He added that the Bangladesh is going to buy two used submarines from China for "training" its surface crew and Sonar crew in anti-submarine warfare. Bangladesh has been seeking to acquire the submarines from China for the past few years. He also paid tributes to Indian soldiers who laid down their lives fighting for his country's freedom in the 1971 War. He recalled that it was India which had first trained its naval officers and helped in setting up the Navy. Bangladesh Navy has been an active participant in India initiated maritime construct Indian Ocean Naval Symposium (IONS) and is scheduled to take over as Chairman of IONS from 2016-2018. Bangladesh Navy is also planning to send a ship as well as high-level delegation during the International Fleet Review in February next year at Visakhapatnam. Habib's visit is aimed at consolidating existing naval cooperation as well as exploring new avenues. Areas of cooperation that are proposed to be discussed during the visit include option of coordinated patrolling along International Maritime Boundary Line(IMBL), bilateral exercises between both navies, joint surveillance of Exclusive Economic Zone and cooperation in hydrography. The two sides will also hold talks on exchange of White shipping information, measures to augment Maritime Security in Bay of Bengal, cooperation and collaboration in ship building as well as cooperation in development of Blue Economy, a naval statement here said. Habib is also scheduled to visit the Western Naval Command in Mumbai and the Garden Reach Shipyard at Kolkata.